The summer season in Iceland gives you the opportunity to truly make the most out of one day. 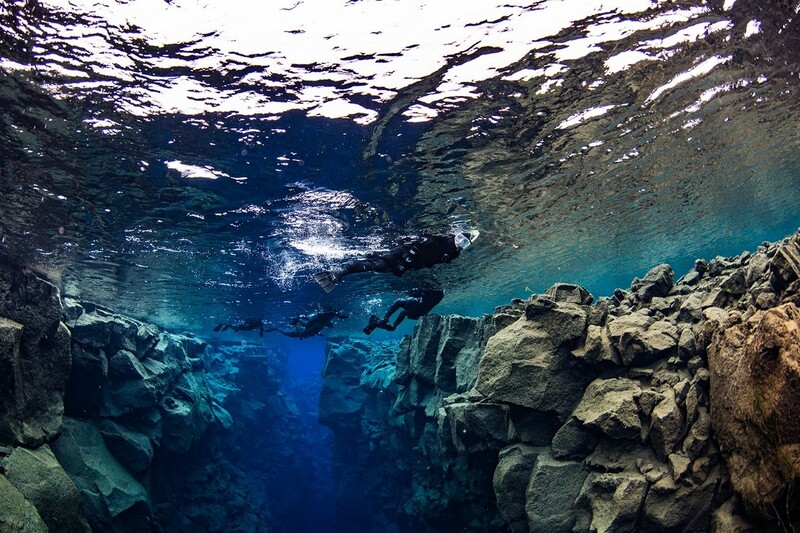 The combination of diving in Silfra followed by whale watching is a great way to get to know the many forms of one of Iceland’s most prominent elements: water. The day begins when we will pick you up at your hotel in the morning and drive with you to the National Park Thingvellir where we will dive between the continental plates in Silfra. Please note that for the dive tour you must meet the dry suit diving requirements as listed below. Afterwards we will drive back to Reykjavik and drop you off at the harbor, where you will have the time to eat something before you get on the whale watching boat for an unforgettable trip into the world of whales and sea birds. The various types of whales commonly sighted include minke whales, white-beaked dolphins, harbor porpoises and the popular humpback whales. You will be accompanied by sea birds such as gannets, guillemots, cormorants, kittiwakes, arctic terns, and many more. The trip also takes you past several islands inhabited by colonies of puffins, which provides a great photo opportunity. 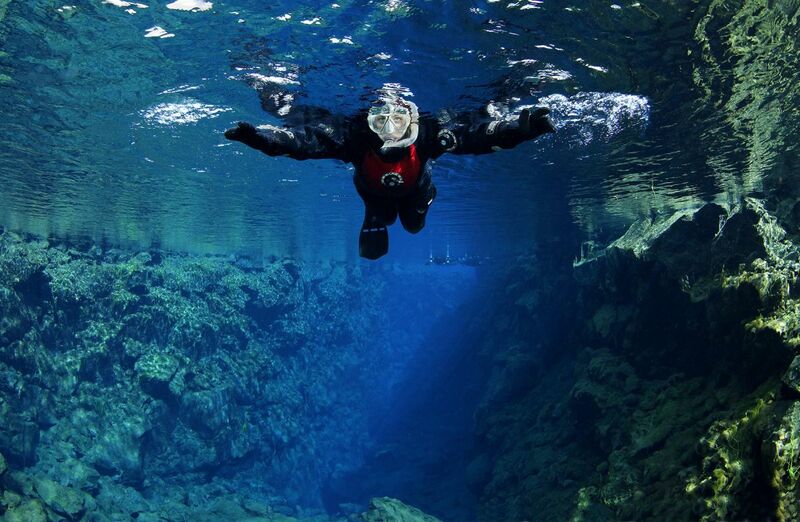 Please note that in order to dive in Silfra you must have dry suit certification or 10 logged dry suit dives within the last two years of tour date and be able to provide written proof from a diving instructor of these dry suit dives.